The “Medieval Southwest” exhibit is for the Lubbock community. 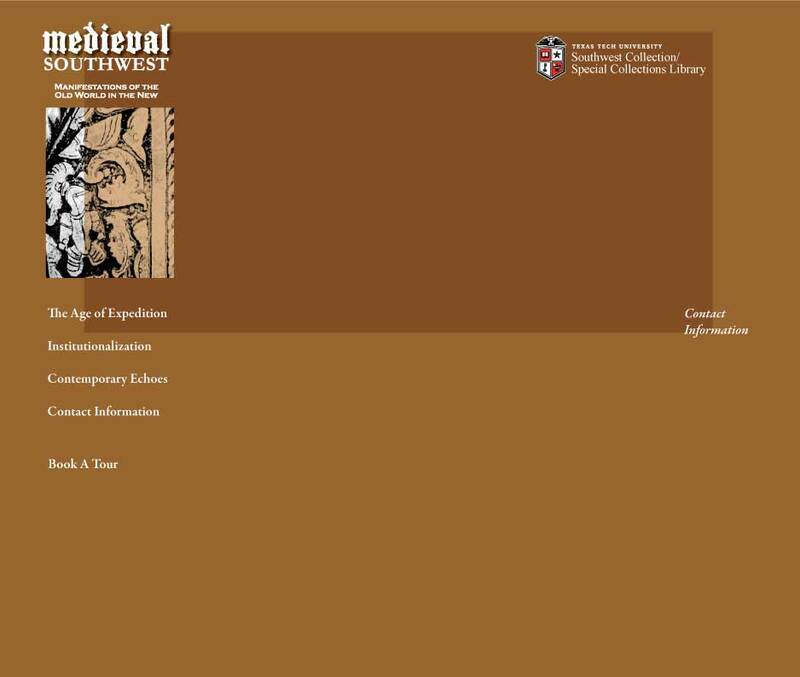 You are invited to view the exhibit at the Southwest Collection/Special Collections Library, located at 15th and Detroit on the Texas Tech University campus. Monday, Wednesday and Friday 9 a.m. to 5 p.m.
Tuesday and Thursday 9 a.m. to 7 p.m.
or by emailing the webmaster.